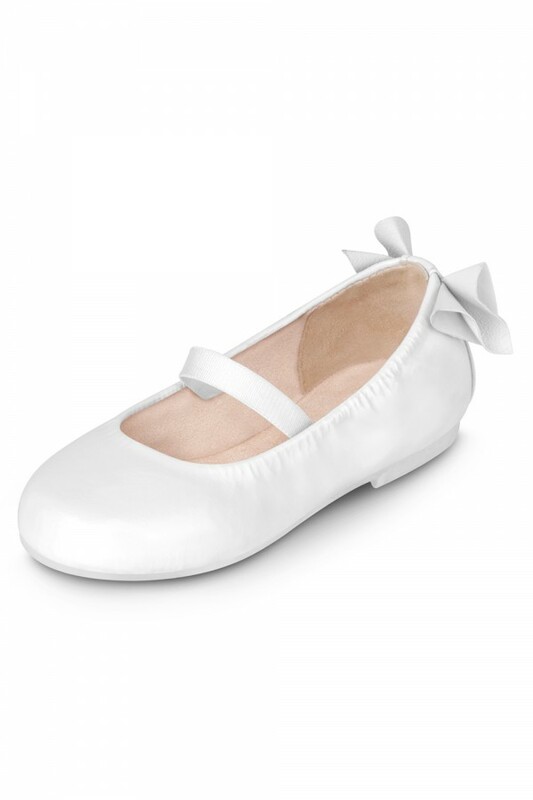 A pretty bow makes all the difference to these elegantly simple dancer inspired ballet flats. Features oversized bow at heel bow and elasticized strap across the instep to ensure the shoe stays put. Soft leather lining and our iconic padded teardrop at the heel offers superior comfort. 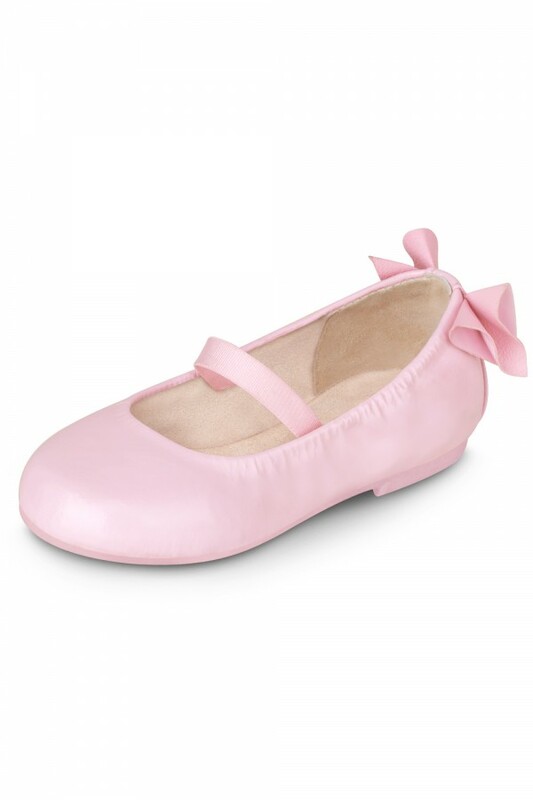 Non-slip rubber outsole makes this shoe ideal for little ones learning to walk.